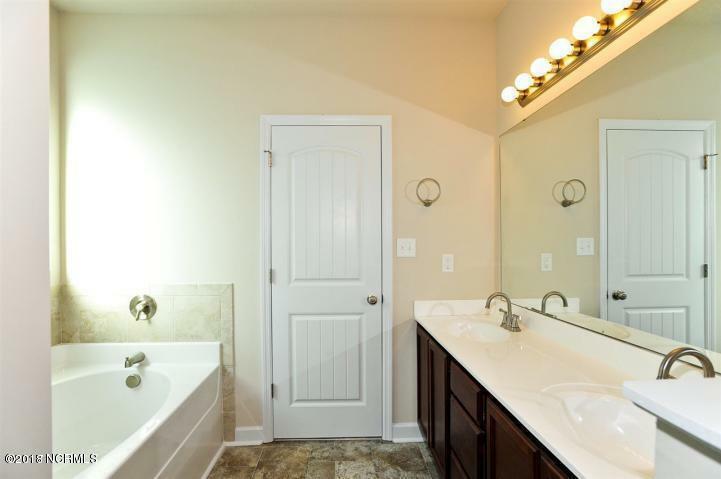 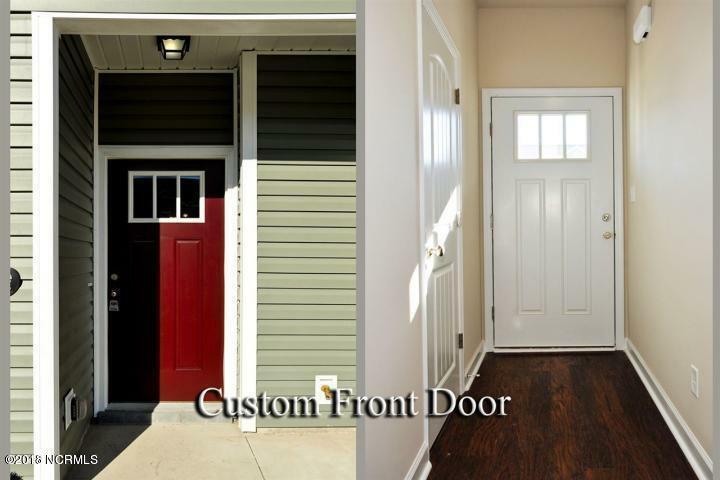 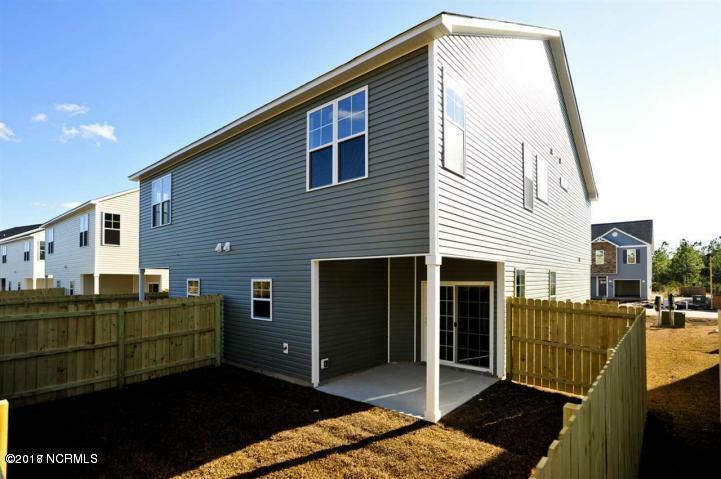 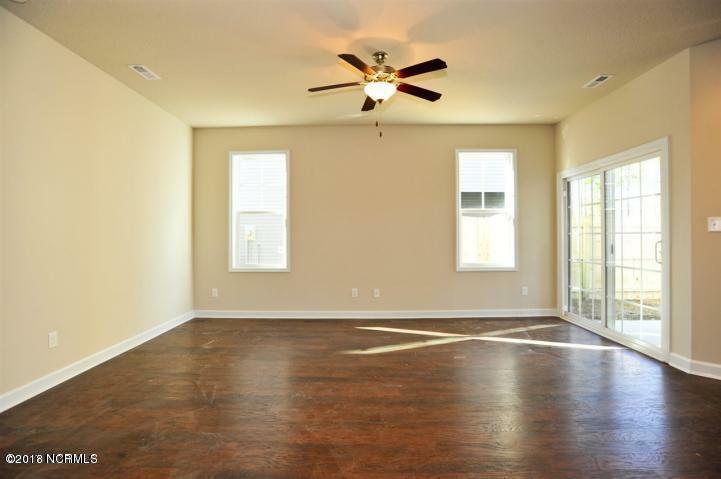 Brand New Construction:This affordable townhouse is located 1000 feet from highway 17, convenient to Wilmington or Jacksonville and minutes to Stone Bay/Marsoc and Topsail Beach. 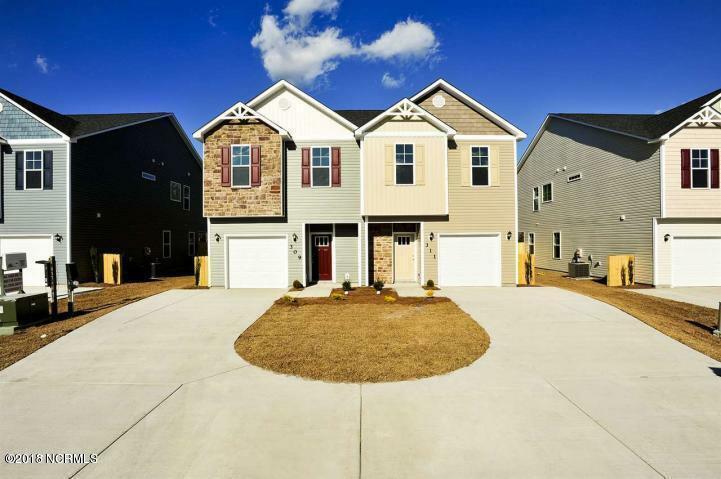 The Rachel floor plan is 3 bedrooms 2 1/2 bathrooms and a 1 car garage with over 1550 heated square feet. 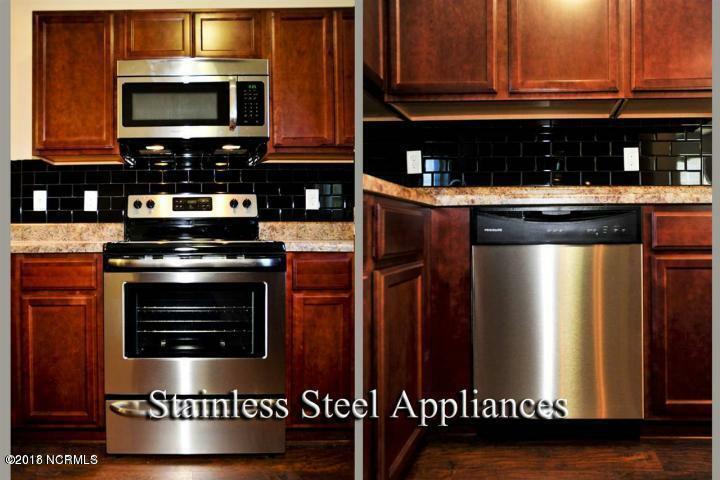 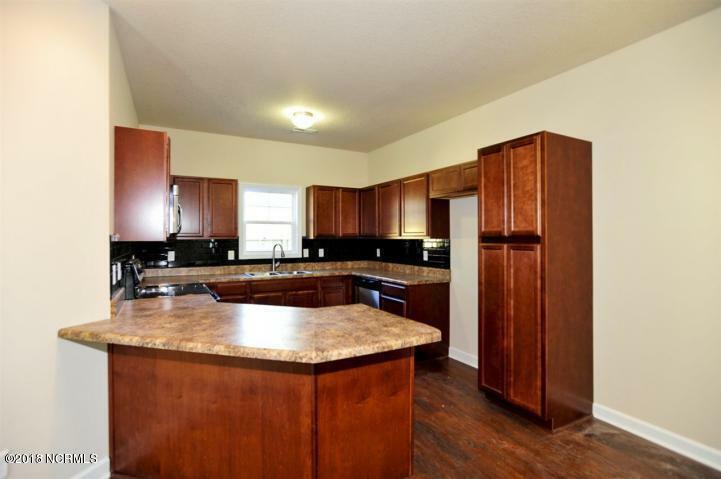 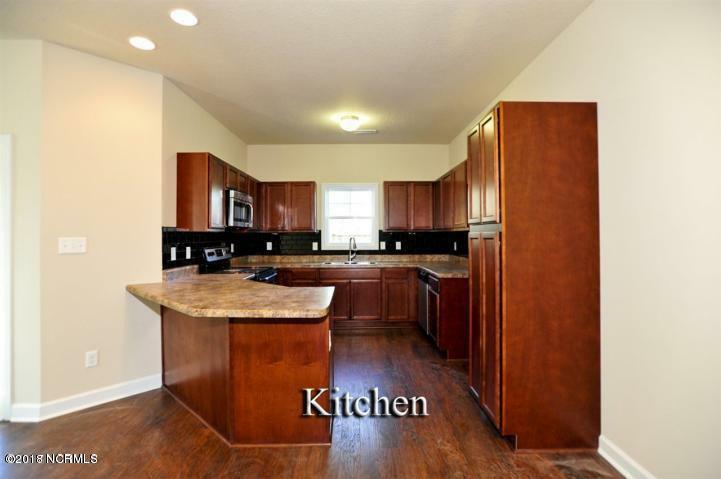 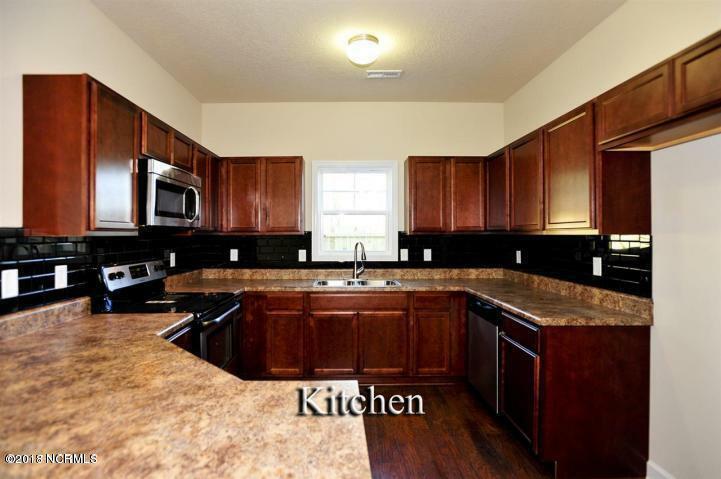 Home features NO CARPET on the first floor, open floor plan, stainless steel appliances, Electric stove/oven, dishwasher, built in microwave, and Refrigerator, Kitchen has tons of cabinets, a pantry, and breakfast bar. 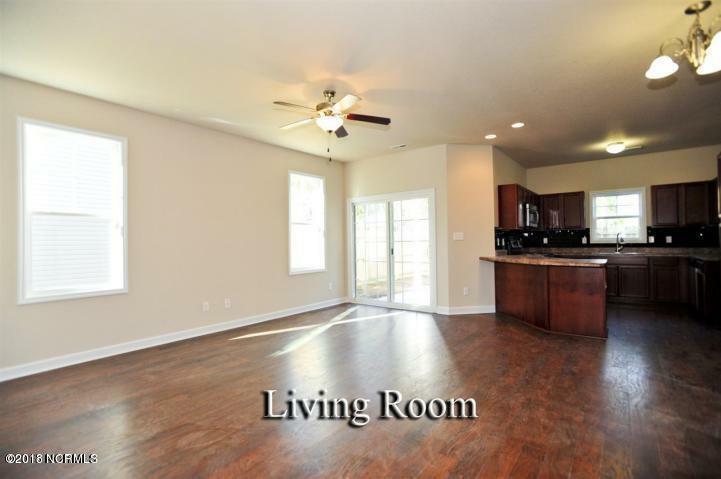 Sliding glass door in living room leads to covered back porch. 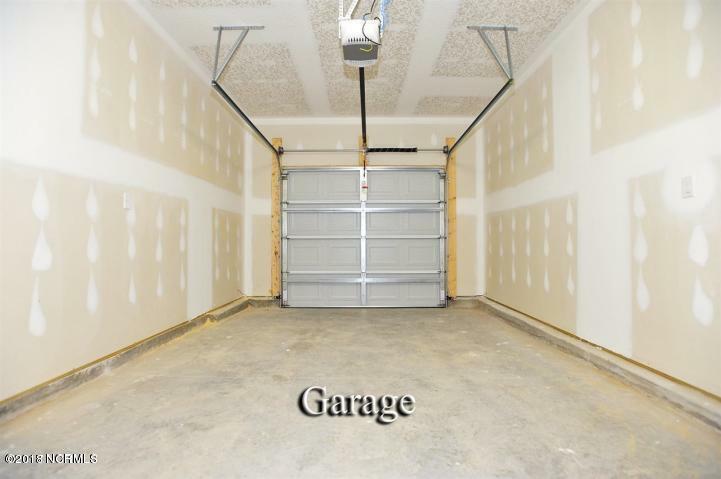 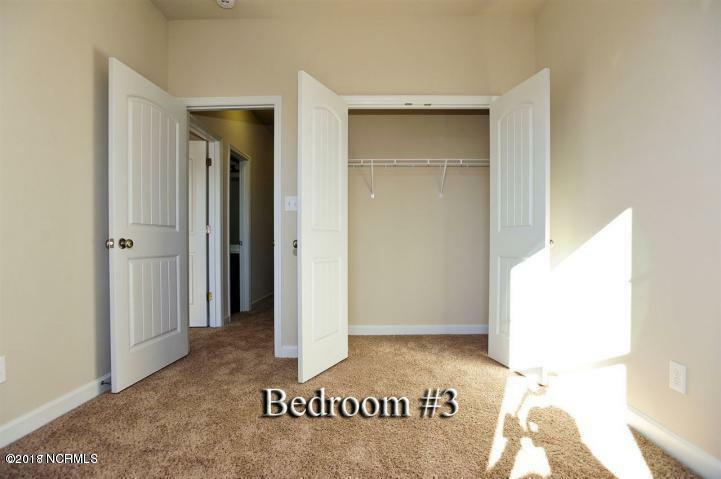 All 3 bedrooms are upstairs with 2 bathrooms and 1/2 downstairs. 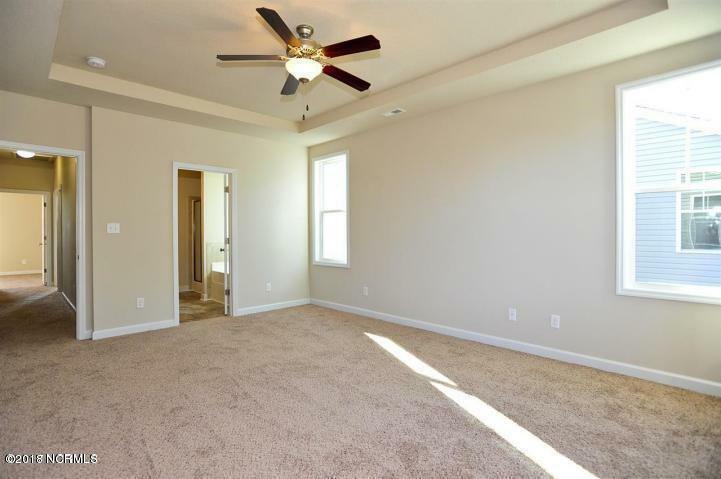 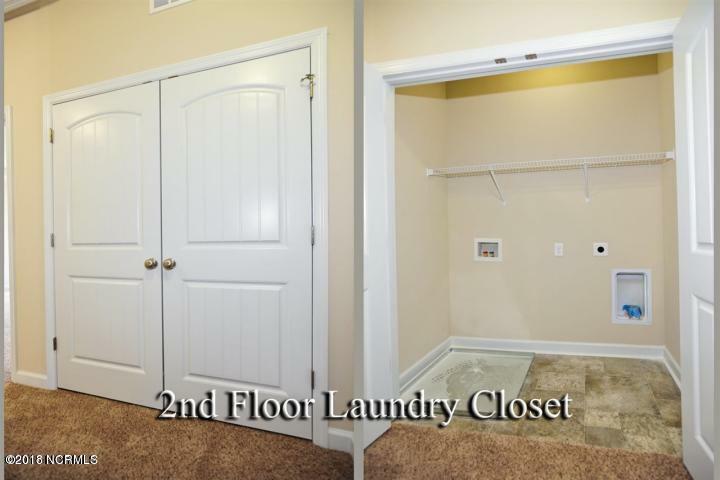 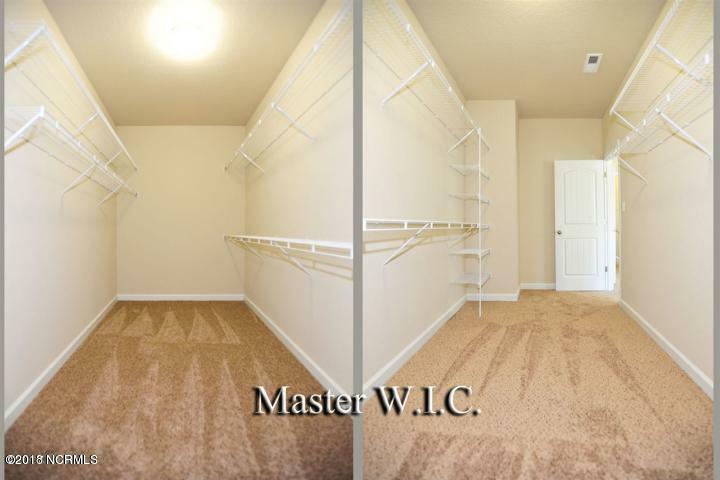 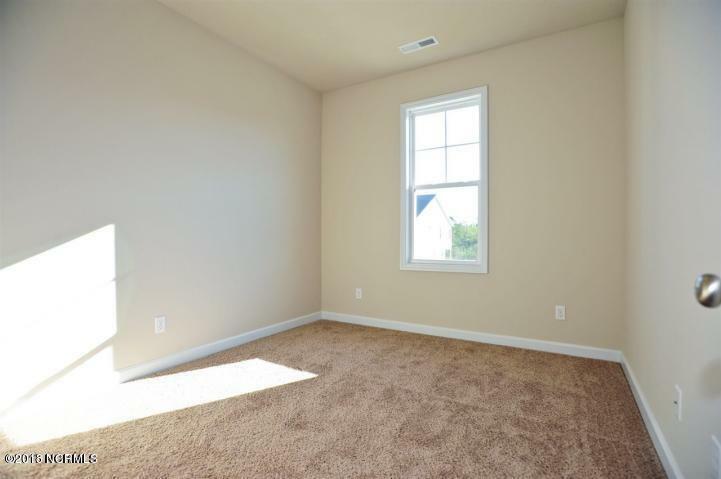 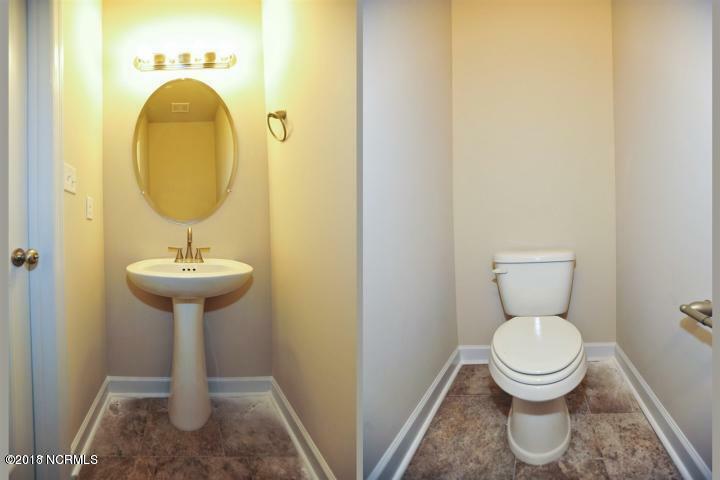 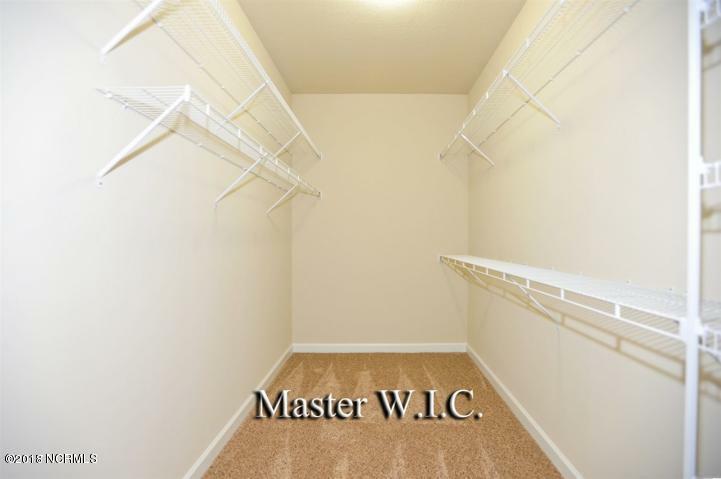 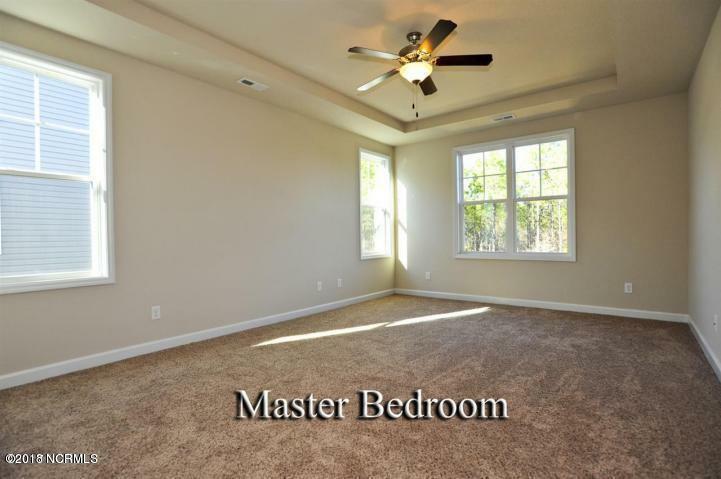 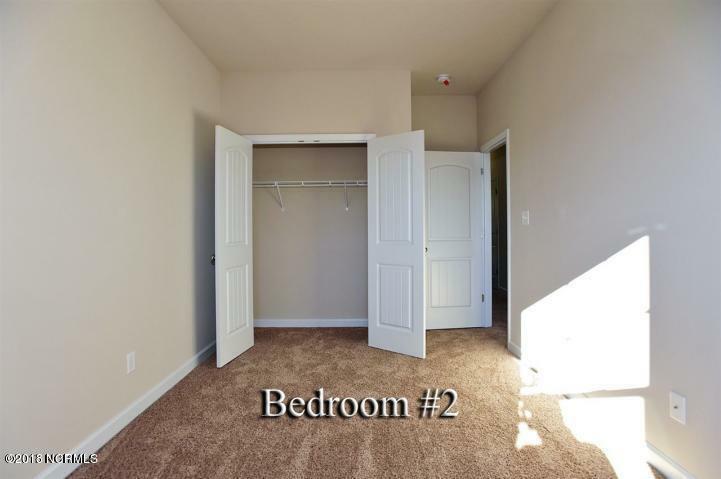 Spacious master bedroom with HUGE walk in closet, Master bath has dual vanity and large master shower with 2 shower heads.